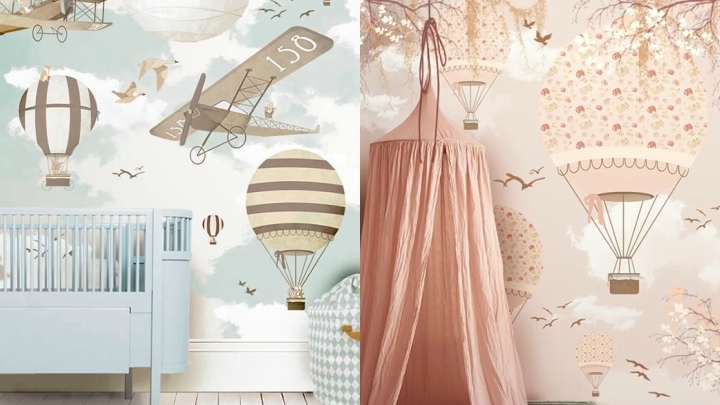 The wallpaper is a decorative element that looks great in bedrooms and other rooms of the house. 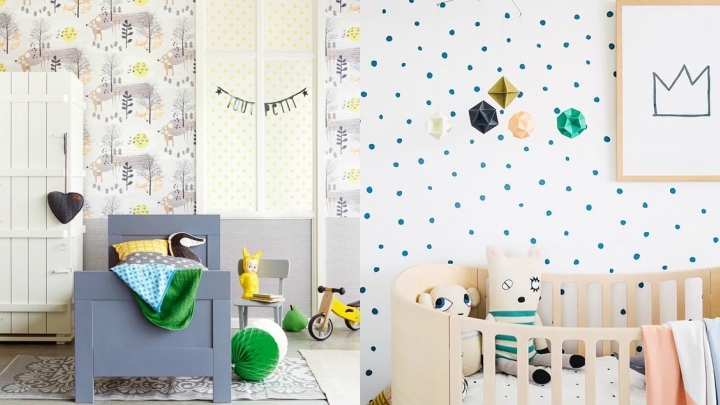 Today I want to teach you different ideas to use in the baby’s room, a place where we seek to favor the rest of the child in a pleasant and warm, and also give a touch of joy to the walls. With the wallpaper you’ll be able to get it. You will see that there are many alternatives, as many designs you find on the market. More or less minimalist, of varied colors, with drawings, prints … We check below! One of the prints for the baby’s room that I like the most is the cloud. It can have the background of a color (if it is soft the feeling will be more cozy and luminous) and white clouds, or vice versa, have white background and clouds of some color. As I say, the light tones, pastels, are always welcome in this room. And the clouds give you that dreamy touch you fancy in this room. The clouds I like, and the stars I love. You can put this wallpaper on one of the walls of the room, to avoid being overly saturated, and play, once again, with the colors and the size of the stars. They also invite you to dream, to fly with your imagination. Another option is to leave the painted wall one color, for example, up a little above half, place a white or wooden frieze and continue the rest of the wall, to the ceiling, with wallpaper. If the stamping of the wallpaper is small, it will be more relaxing and will look good in a room of any size; If the drawing is large it may dwarf the room if it is already small. 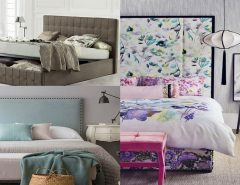 If you choose soft tones, you may be able to play with larger prints. A print that is also precious in the baby’s room is that of balloons. Maybe because, once again, it becomes a representation of the desire to dream, to fly and to imagine that we want our little one to feel. Moles greatly favor these stays. They are discrete and do not saturate the space. In this case, although the drawing is small, I also recommend reserving it only for one of the walls and leave the rest painted white or some pastel tone that contrasts or combines with the color of the moles. We have already seen that in order not to saturate the room it is advisable that the wallpaper is reserved for one of the walls of the room. Depending on how the print is, you can put it in two, stand together or face, for example. Then you can choose similar decorative elements; Cloud or star cushions, a balloon hung from the ceiling or a polka-dot carpet. Let everything be combined. 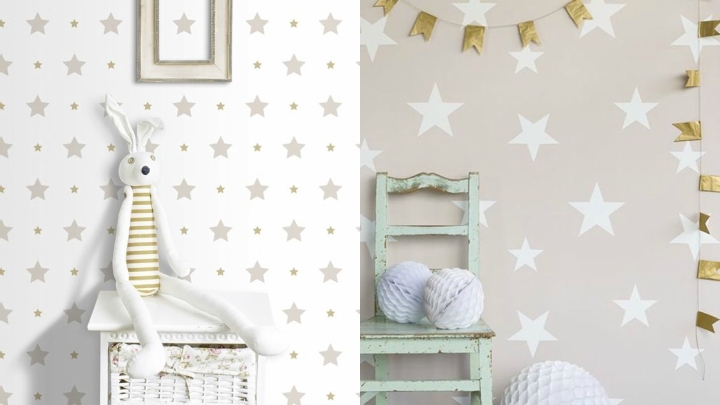 Or in contrast, too, by putting wallpaper of clouds and star cushions, or polka dot paper and striped rug. And why not?